‘Together We Will Stand’ is the name of the project proposal with which Stichint Ocan won the public tender for the temporary Support function for the Decade at the start of April 2018. 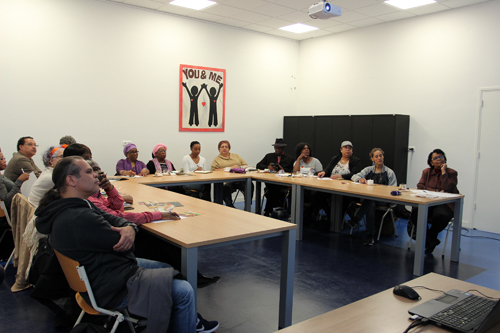 The Ministry of Social Affairs and Employment (SZW) created the Support function due to the need for support in realizing the social initiative that has been voiced by the UN International Decade for People of African Descent target group. 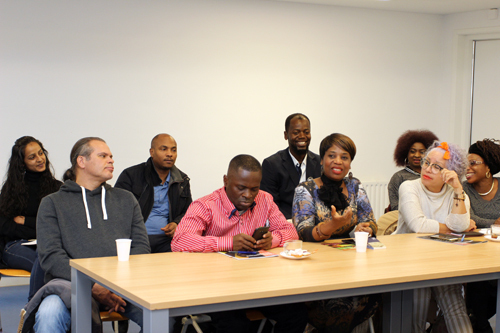 The aim of the Support function is to stimulate and advice organizations and socially engaged persons from the African communities with the shaping and enabling execution of potentially rich social initiatives, that are amongst others aimed towards combating racism and discrimination, the promotion of inclusion and harmony in society. De support focusses among others on strengthening of writing skills, the organizational capacity and professional (net)working of organizations so that the fulfillment of the Decade can be achievement more through cooperation and independent from within the communities. 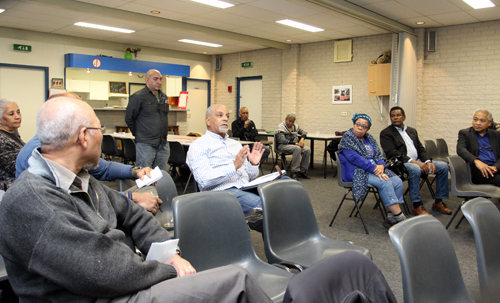 Citizens and organizations in the Caribbean Netherlands that wish to partner with persons from the African communities to commit towards relevant themes/activities that concern these target groups can apply for the Support function. The Ministry of Social Affairs and Employment (SZW) had made arrangements with two Decade theme funds about the financing of these projects; namely the Prince Bernard Cultuur fund and the Oranje fund. The will assess the project plans and either award or not award a financial contribution. The Support function will also provide support with taking care of a financing plan. An important starting point at the Support function is that the individual responsibility of the idea / project holder and the submission of the request/ project plan remains that of the idea/project plan and that Stichting Ocan will not take over these tasks and responsibilities. Surf to the homepage and click on the green label: Together We Will Stand, and you will arrive on the Support function’s webpage. Here you will find information about the working method of the Support function and other information. Click on the orange lable Quickscan. This Quickscan is intended to examine beforehand if persons are eligible or not for the Support function. Complete the Quickscan fully and click on ‘controleer’ (check). You will receive a notification stating that you will possibly be eligible for the Support function. “Dient hier uw aanvraag in” will appear. By clicking on this you will arrive at the Aspirant Abonnement form. Complete the form (advice request) fully and click on ‘aanvraag indienen’ . You will receive a confirmation of receipt of the advice request via the submitted e-mail address. It can also occur that you will receive a notification stating that you possibly are not eligible and that you should contact us. You can do so via: ondersteuningsfunctie.decade@ocan.nl . We will then review what the reasons is for the notification. “The resolution calls on all UN member states to take action against racism, race discrimination , hate towards migrants and associated intolerance (on grounds of race, color, origin or national or ethnic origin) so that all fundamental rights and freedoms of persons of African descent remain protected and guaranteed. The decade consist of three pillars: acknowledgement, justice and development”. Awareness and combating prejudice, negative imaging and stereotyping by promoting dialogue, as well as promoting positive representation through the asking of attention for the contributions, the heritage and culture of persons of African descent, resilience of the youth to deal with setbacks, resistance and discrimination (empowerment) in cooperation with civil society organizations. Memorializing and processing: guaranteeing attention for the slave history. Combatting job market discrimination and tacking youth unemployment.